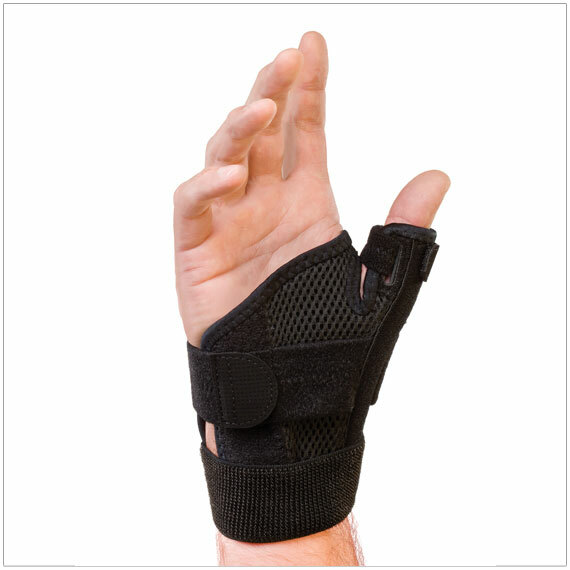 How do I assess what thumb orthosis to fabricate or recommend? Using an orthosis is typically recommended for the rheumatoid thumb when the deformities are passively correctable and is thought to be more effective with milder cases of the disease. 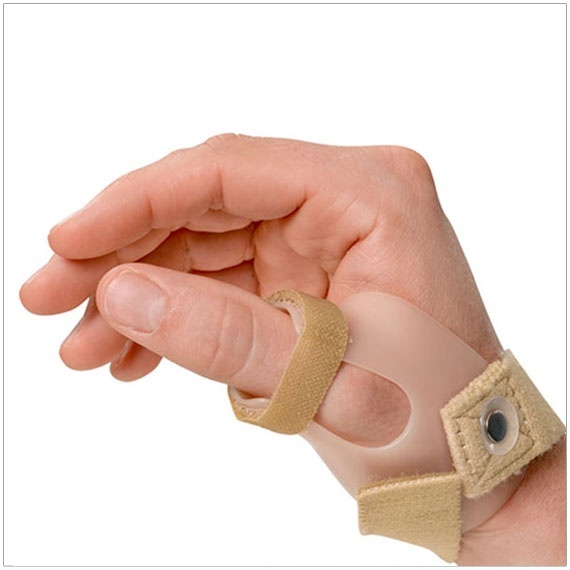 An orthosis for the rheumatoid thumb should assist with balancing soft tissue forces and placing the joints in an appropriate or more neutral position. In other words, it is recommended that a therapist provide support to the deformed thumb using their hands in order to determine which joint(s) can be supported to allow the thumb a more normal mechanical pattern. Typically it is helpful to first try supporting the joint initiating the deformity. For example, for a type IV deformity, apply support to the MP joint to determine if a corrected position at this joint allows function without pain and allows good mechanics. Continue adding support to the joints as needed. Once the joints to be included in the orthosis are determined, find or fabricate an option that provides the needed support. 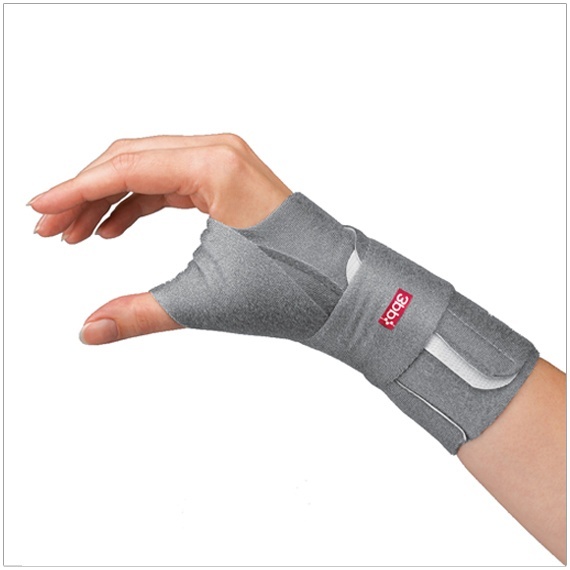 Orthoses have been found to be effective in decreasing pain when worn during the day for individuals with a rheumatoid thumb and the orthosis was not found to disrupt grip, pinch, function, or dexterity. Studies suggest that individuals with RA have decreased pain when using an orthosis during sleep and may prefer a soft splint instead of a harder design. 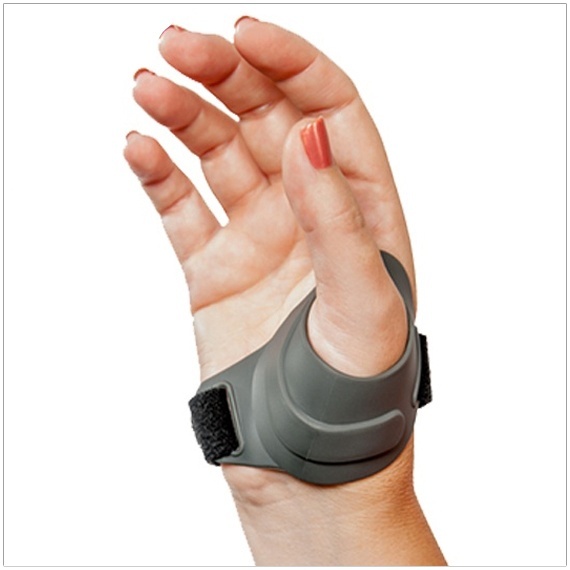 For more information on orthoses for RA thumb deformities, take a look at our complete line of thumb splints. This blog is presented for informational purposes. We will gladly answer questions pertaining to products, however, we cannot provide specific diagnoses or treatment recommendations for patients.